One of our companies recently started offering its services on a popular job posting site – freelancer.com. Unfortunately, the most recent experience we had with their portal calls for some extra precautions down the road. It was a simple copy job, like many others out there. The employer (i.e. 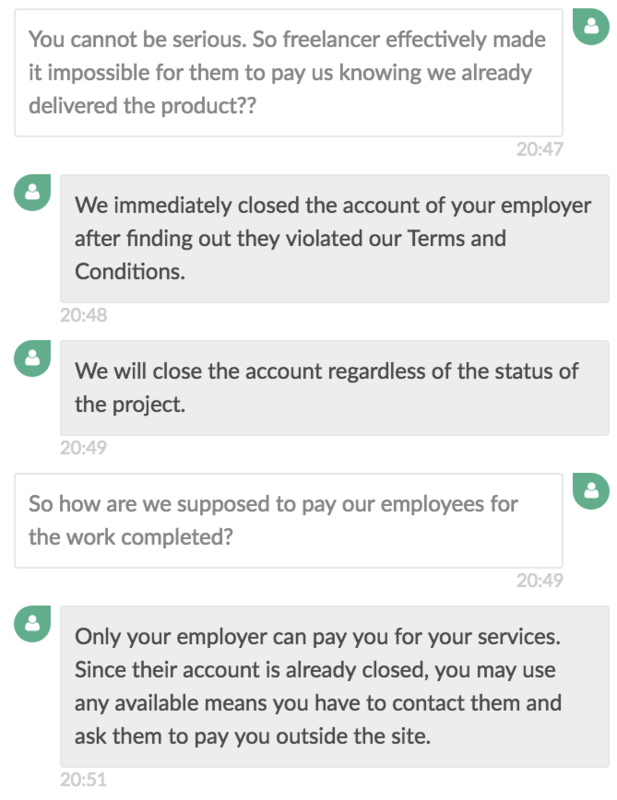 the party posting the offer) was verified on freelancer.com and so was his payment method. We agreed on the rate and begun working on the assignment. After a day’s worth of material was ready, it was presented to the other party for approval. In addition, an invoice was raised and the first payment requested. The project is no more. Similarly, the employer’s account was gone. 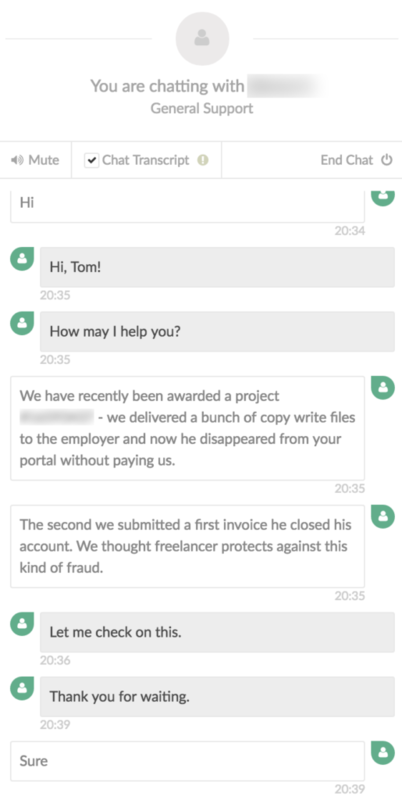 At that point, being almost sure we got duped, I decided to ask freelancer.com for help. Surely after all those hefty fees, ID, phone, email, IP and DNA verifications they will at least feel compelled to help, right? Whoa, so it was actually freelancer.com who decided to kick the other party out. 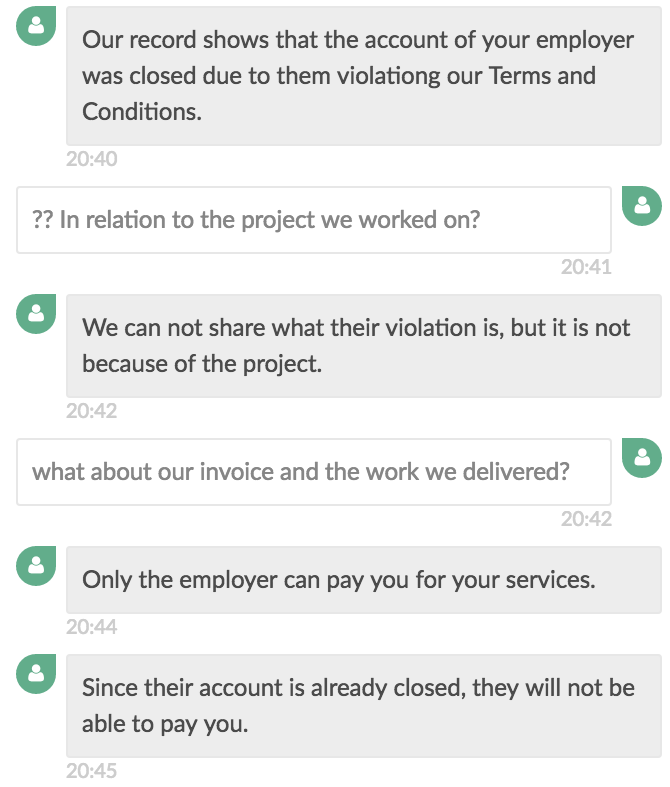 Knowing that they had open projects and invoices. Not very nice. Apparently, freelancer’s compassion is very much limited, mostly to themselves. What struck me is a suggestion for an outside arrangement, something heavily frowned upon by freelancer.com. 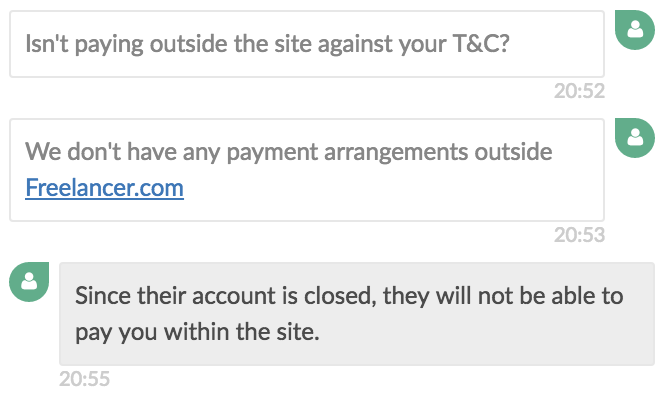 There goes freelancer’s payment verification. It’s worth as much as nothing. There you have it, boys and girls. Straight from the horse’s mouth. It seems that the only payments they care about are their certification and monthly fees. 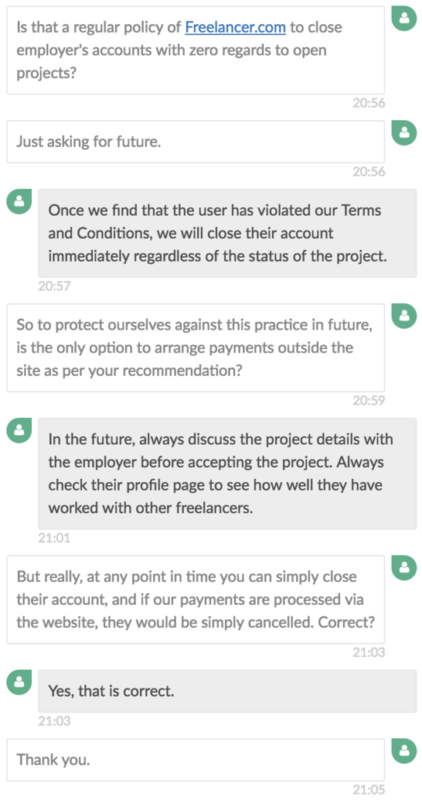 For larger scale projects, I seriously recommend an outside escrow, as freelancer.com provides no protection whatsoever, despite their very suggestive “payment method verified” icons.